For today's cover post we have two recently revealed covers about two books with their own dark twists on the Lewis Caroll classic - Alice's Adventures in Wonderland. I can't say that I am drooling over either of these covers but I have to say they are both very eye catching. If I saw either cover on a book store shelf I would pause to pick it up and check it out, which is what a good book cover is supposed to do even if I am not falling in love with it. I love the colours for Splintered and the little details surrounding the model's face like the butterfly and the bird. 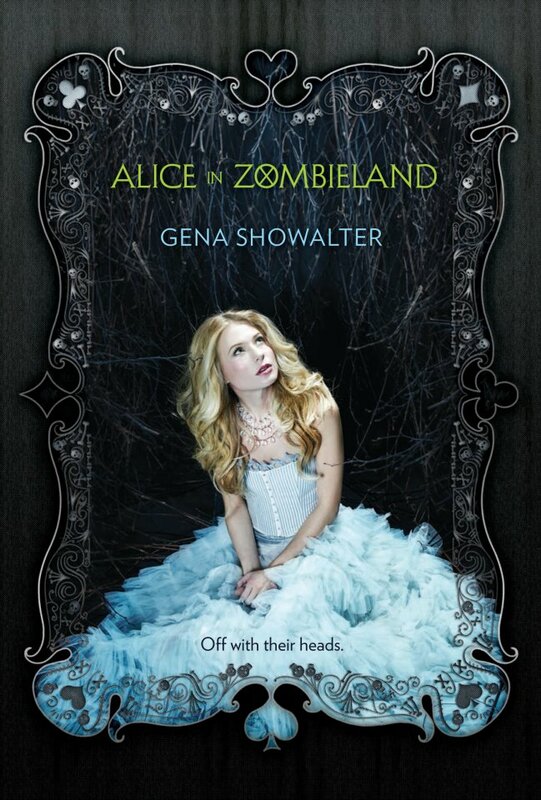 And what I like most about the Alice in Zombieland cover is that the border makes the book like a playing card which I think ties quite nicely into the original Alice story. If you want to learn more about the books then click on the covers and be taken to their goodreads pages.